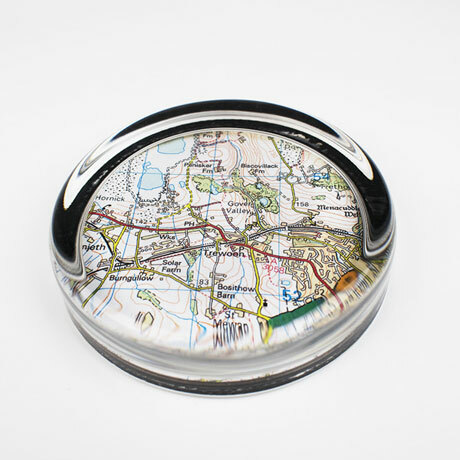 A beautiful glass paperweight personalized with an up-to-date map of any US address of your choosing at the center. By picking a location with special meaning to you, this gift is a wonderful reminder of both the place and the time. Whether a celebration of your home, where you've been on holiday or more romantically where you got married, engaged or simply first met. 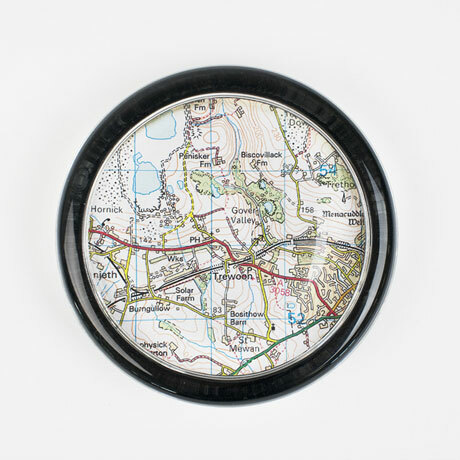 The mapping will cover appox 0.75 miles radius around your location. 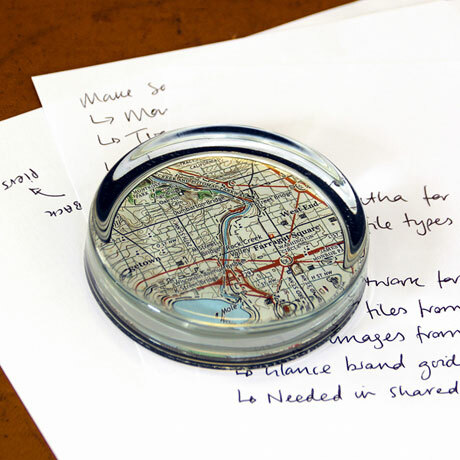 The large circular crystal clear glass paperweight is 3.5in round x 0.8in high. 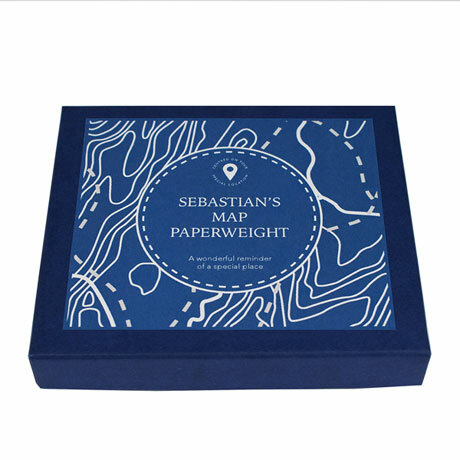 It has a soft velvet base and comes in an attractive gift box, which can be personalized with a name. 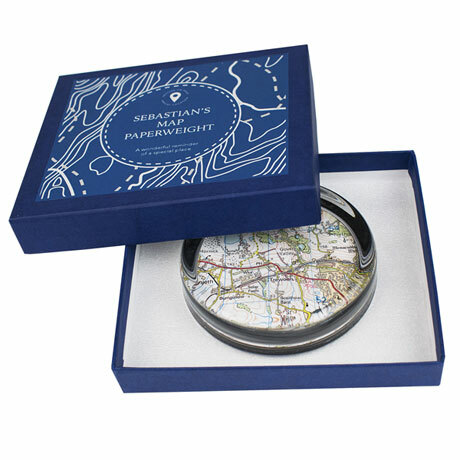 Provide US address including zip code for map and name up to 14 characters for optional gift box personalization. Allow 3-4 weeks for delivery.